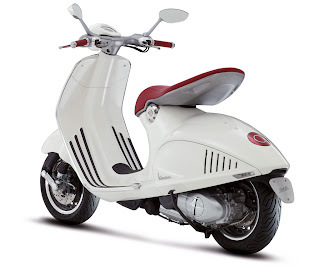 New Vespa 946 production progress! 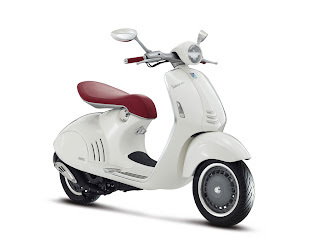 So, it seems that the new Vespa 946 is definitely getting closer to becoming a real production model! 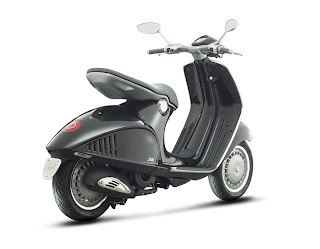 From the 2012 EICMA show in Milan, Motoblog.it is showing a new promo picture where the supposed 946 model has clearly been fitted with the accessories one would expect from a street production model. Items that were missing from last year's prototype, that are now on this pre-launch version, seem to include the controls, center stand, turn signals and mirrors. I would have thought they would have gotten rid of that new seat, in favor of one like the one on the current LX150's, including under seat storage space, but that doesn't seem to be the case... Maybe it will be different on the one that actually comes out next year? 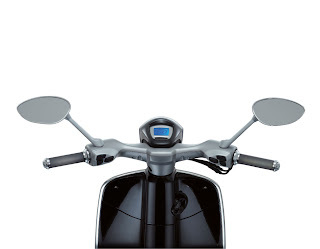 And, I'm not really a big fan of the new handlebars that house the mirrors. They look really cheap and plastic and, dare I say, even Chinese made...! Liked the prototype version a lot more (see previous post below). 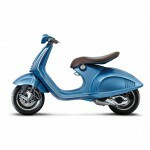 At the 70th edition of the International Motorcycle Show in Milan (EICMA 2012) will make its official debut the new Vespa 946 anticipated in last year's show in Milan. 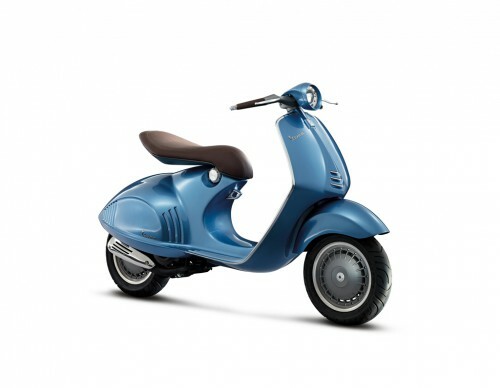 Vespa 946 is inspired directly to the head of the history of the scooter most famous and popular in the world, the MP6 prototype, first embryo from which the Vespa was born in the spring after the war, the most famous scooter in the world, unsurpassed example of style and Italian creativity. Distilling the purest essence of those traits that marked forever the aesthetics of individual mobility, the Pontedera Style Centre projects for sale in a new generation in which tradition and innovation come together beautifully. 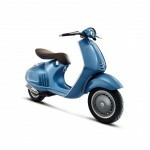 The masterful build quality and nobility of the materials used differ Vespa 946 from any other two-wheelers. The use of aluminum contributes, as well as the definition of a stunning aesthetics, the greater lightness and therefore to an increase of the energy efficiency. The heart of the Vespa 946 is a modern engine that reveals the lines of development of the engine near future, characterized by reduced consumption (more than 55 km per liter), and removal of gaseous and noise emissions (-30% emissions). 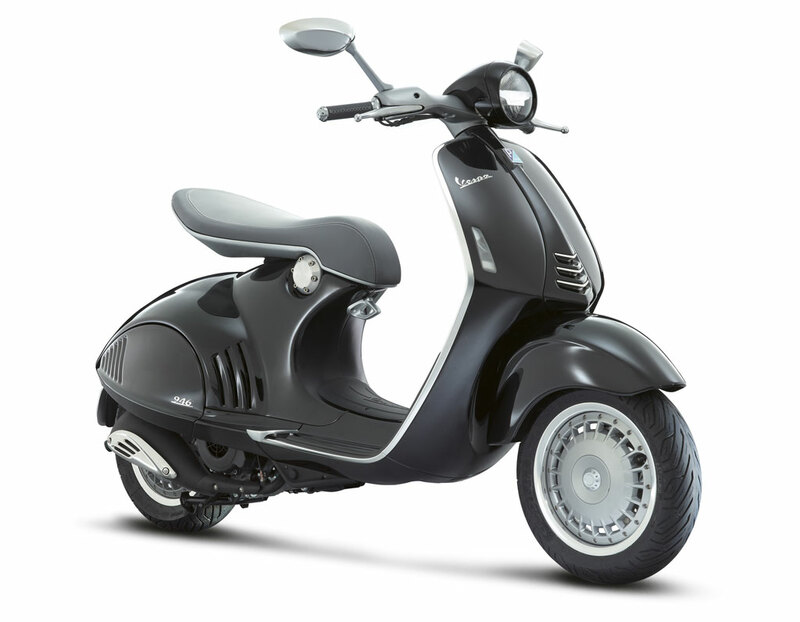 The single cylinder 125 cc four-stroke, 3-valve, air-cooled and powered by electronic injection represents the state of the art technology of the Piaggio Group in engines for scooters. 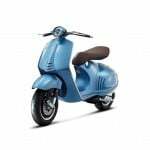 The Vespa brand, in the first nine months of 2012, confirming the steady growth of its sales in the world - more than tripled from 2003 to 2011, from about 50,000 to more than 150,000 last year - amounting to approximately 121,000 units sold from January to September 2012. 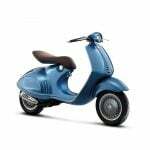 For the first time, Vespa is moving away from its steel body to an aluminum alloy for reduced weight and improved fuel economy. Another first for Vespa is the horizontally-mounted rear shock absorber which also features four adjustable preload positions. 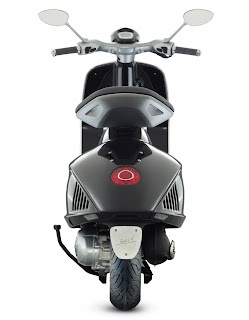 Like other new Piaggio-family scooters such as the Aprilia SRV 850 and Piaggio BV350, the Vespa 946 comes equipped with ABS and traction control. 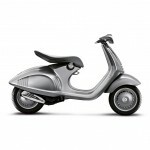 Other modern touches include LED lighting and LCD display. Powering the 946 is Piaggio’s fuel-injected three-valve 125cc air-cooled single cylinder engine which was introduced in 2012 on the LX and S. Low friction components and the three-valve timing system help improve efficiency. 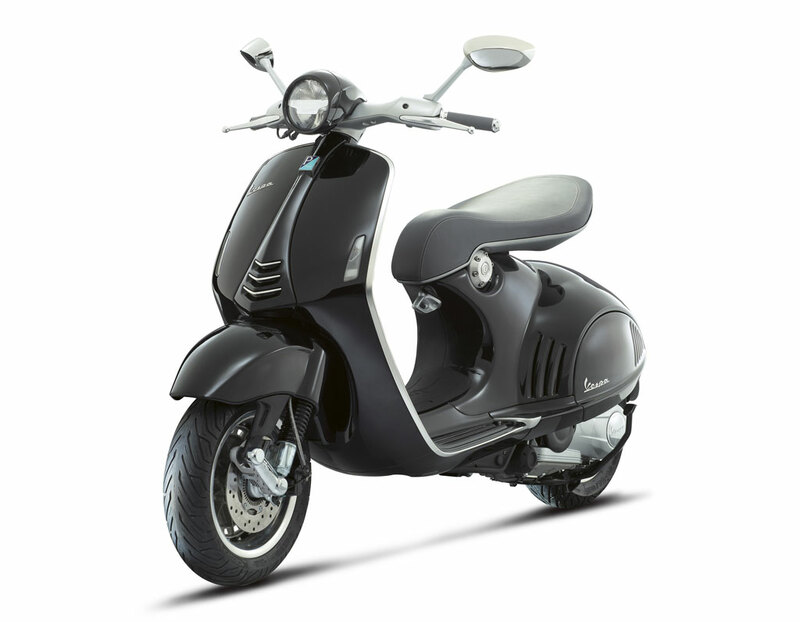 According to Piaggio, the engine increases maximum power by 7.1% to 11.4 hp at 8250rpm and torque by 10.3% to 7.9 ft-lb. 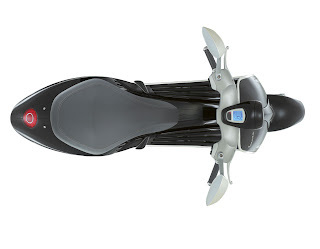 at 6500 rpm, compared to previous 125cc engines. 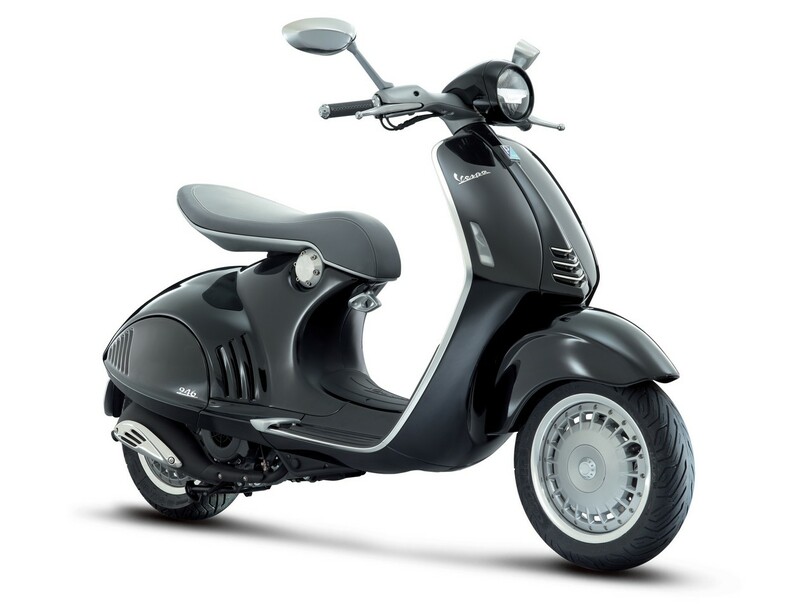 The fuel economy improvement is even more impressive with Piaggio claiming a 30% increase to 129.4 mpg at a speed of 31 mph. 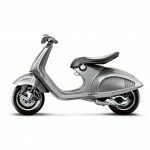 Maintenance intervals were also lengthened to every 10,000 km (6,213 miles). 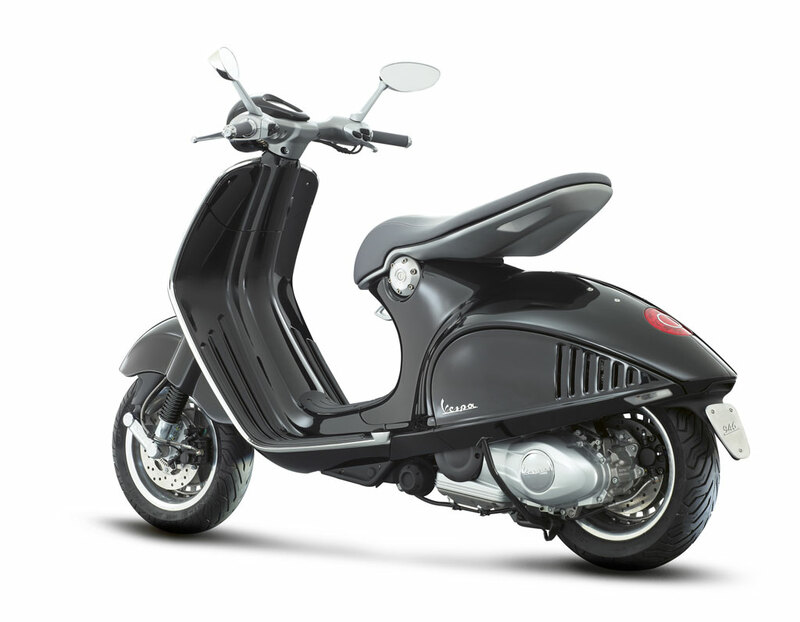 Piaggio presented the prototype at its North American dealer meeting, saying the Vespa 946 will be imported to these shores. The word now is that it will not come to the United States until the 1st Quarter of 2014. 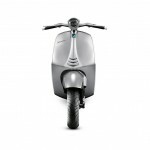 Piaggio has announced that when it introduces the 946 in Europe, in the summer of 2013, it will be priced at around 8,000 Euros. That currently translates to around $10,000 in US Dollars!! Yikes! 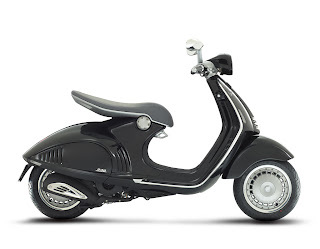 Kinda high for a 150cc scooter. 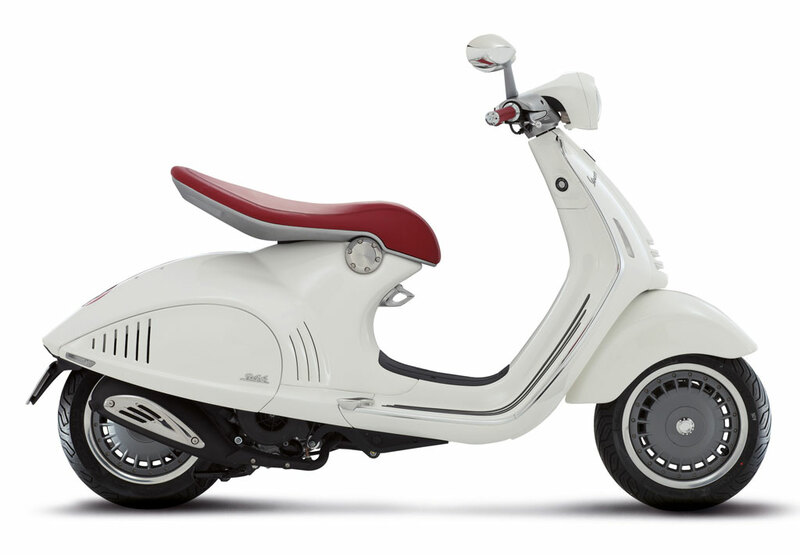 It will more likely be priced between $5500 and $7500 here in the US (I am thinking), but it will still be a probably high priced item, especially since it will more than likely be a limited production run model. And here are new publicity pictures of the Vespa 946, showing the initial two color combinations it will be offered in: White, with red seat and handlebar grips, and Black, with gray seat and handlebar grips. 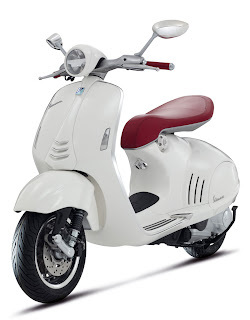 Again, it is now expected to come to the USA in the 1st Quarter of 2014, so start saving your pennies. 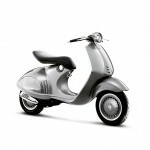 Piaggio confirmed it will be importing the production version of its Vespa 946 (a.k.a. 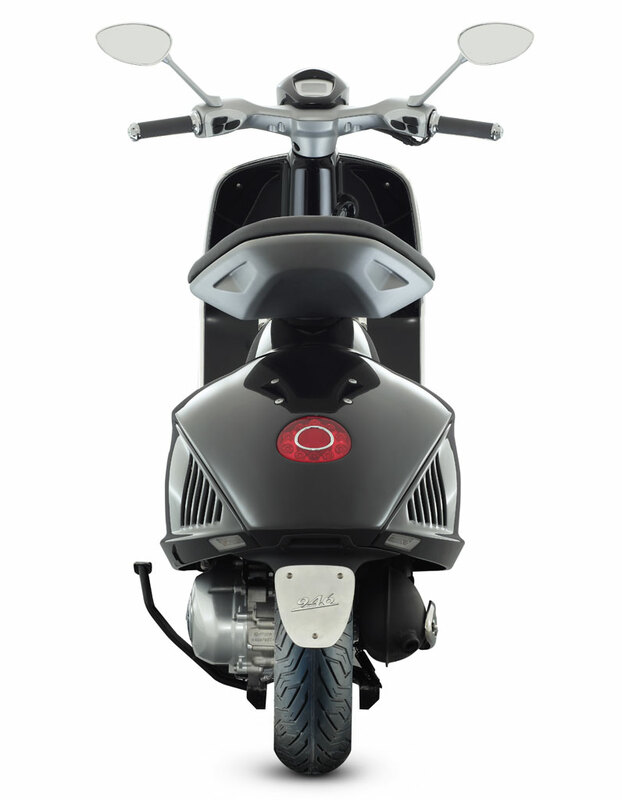 the “Quarantasei“) to North America, representing the next generation of scooters from the iconic Italian brand. The 946 was presented alongside the Aprilia Caponord 1200 and Moto Guzzi California 1400 at Piaggio’s North American dealer meeting last week in Miami. 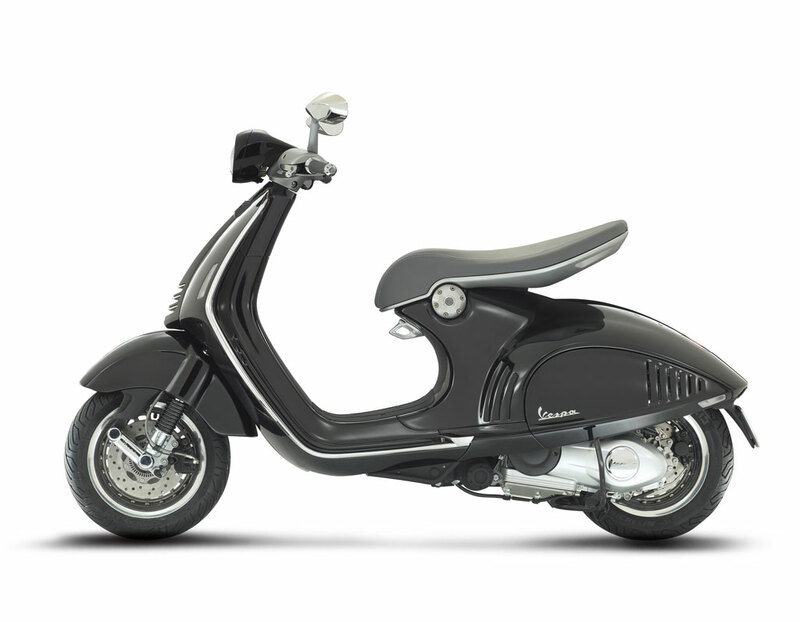 No dates were announced for the Vespa 946 but odds are it will arrive on these shores in late 2012 as a 2013 models alongside the Caponord and new California. 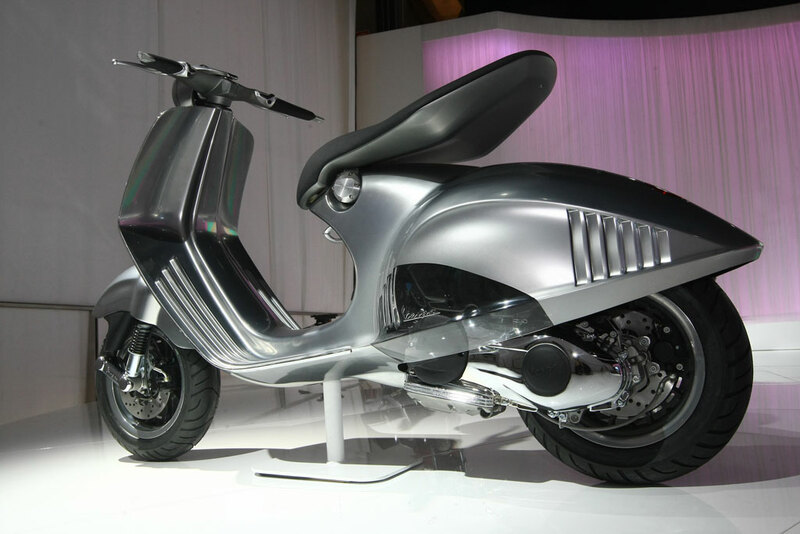 The Vespa 946 was first unveiled at the 2011 EICMA show as the Quarantasei concept model. “Quarantasei” is Italian for 46, which represents the year 1946 when Vespa first began producing scooters, but the design represents more about Vespa’s future than it does the past. The 946 maintains Vespa’s signature design elements while adding futuristic style elements from its metallic paint, hanging seat and swooping lines. The technology is also next-generation, with a new Single cylinder three-valve engine. 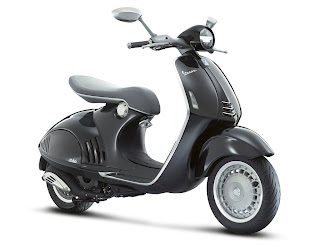 The air-cooled and fuel-injected engine was designed to offer good fuel economy and fewer air and sound emissions. 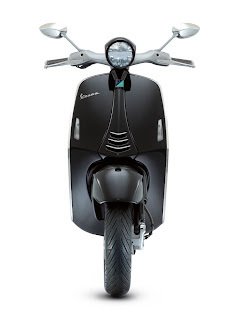 Piaggio plans to produce the 946 with a choice of a 125cc or 150cc engines. 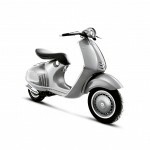 The 125cc engine claims a maximum output of 11.7 hp at 8250 rpm and 7.6 ft-lb. at 7000 rpm. 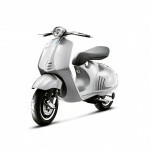 The 150cc version claims 13.0 hp at 8000 rpm and 9.3 ft-lb. at 6500 rpm.